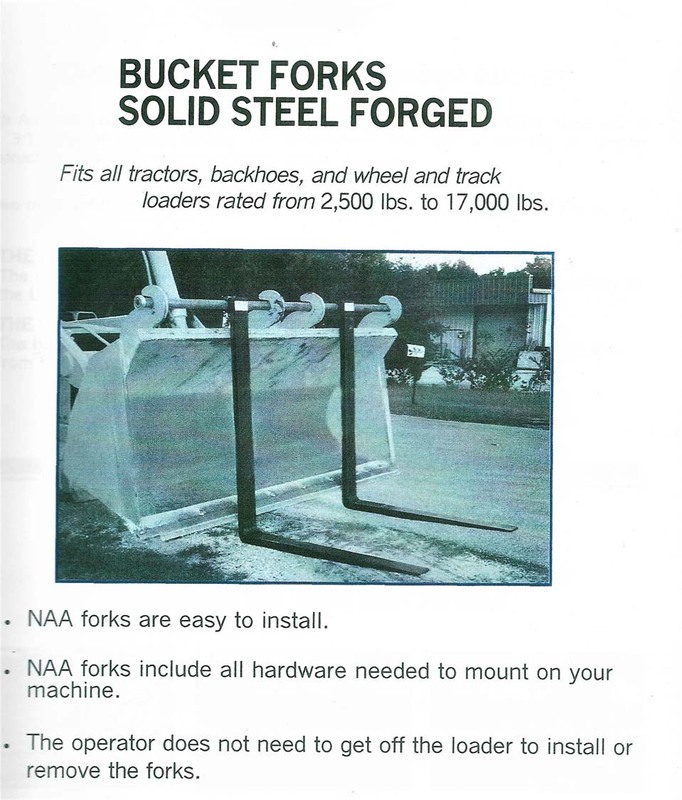 Bucket Forks-Solid Steel Forged and can fit all tractors, backhoes, and wheel and track loaders rated from 2,500 to 17,000 lbs. NAA forks are easy to install, include all hardware needed. 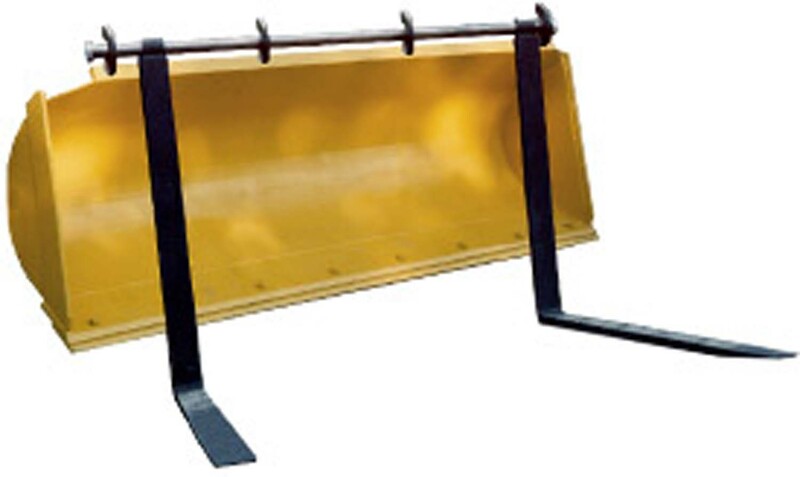 The operator does not need to get off the loader to install or remove forks.